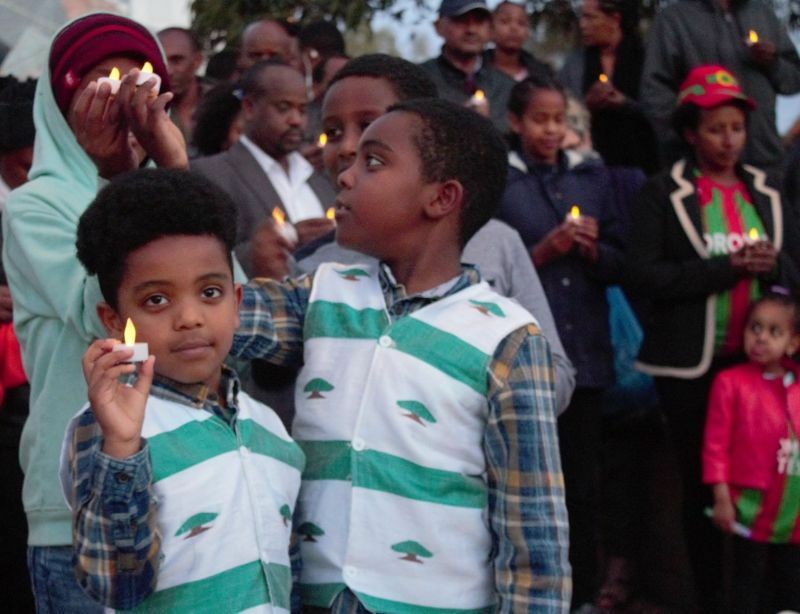 (Advocacy for Oromia, 2 October 2017) On the night of September 30, 2017, however, members of the Oromo community in the Greater Melbourne region gathered there for a different reason: for a solemn remembrance of the more than 600 fellow Oromo men and women, young and old, who lost their lives back home in Oromia during the Oromo Thanksgiving (Irreecha) celebration in the town of Bishoftu on October 2, 2016. The celebration in Bishoftu attracts millions of Oromos and tourists to the epicenter of the holiday by the lakeside of Hora/Lake Arsadi. On October 2, 2016, hundreds of the celebrants lost their lives as the Ethiopian Federal Government, which is dominated by Tigrean People’s Liberation Front, moved in to crash a peaceful protest through teargases and live ammunition inside the crowded civilian zone, thereby causing panic and stampedes – while some died in ditches around the lakeside, others were gunned down. 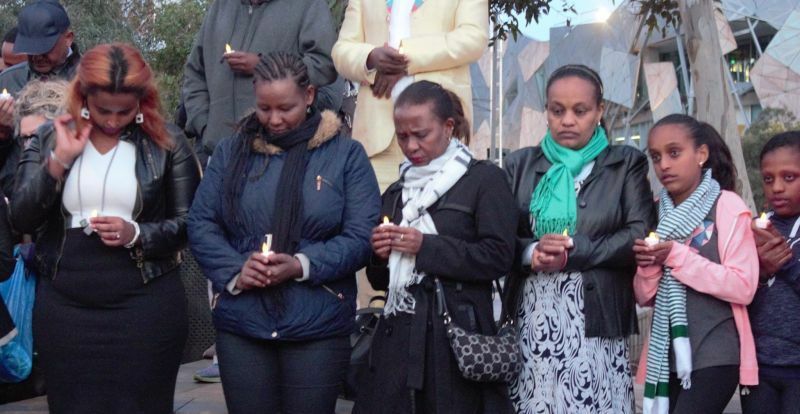 It was with this dark memory of October 2, 2016, that members of the Oromo community in Melbourne held the candlelight vigil at Federation Square on the evening of September 30, 2017; the event also included a commemorative message. Here are some pictures from the event. Melbourne’s Federation Square in Australia has become synonymous among the Oromo in the Diaspora as the venue of the yearly celebration of Oromo culture and heritage during the region’s Summer season in December. Posted on October 3, 2017, in News. Bookmark the permalink. Leave a comment.